The Occupy Wall Street movement has, for the most part, been formed around the idea that wealth distribution in America is unfair, and that the economic system is skewed to reward the already wealthy with the highest gains. A new report from the Congressional Budget Office appears to have confirmed that. 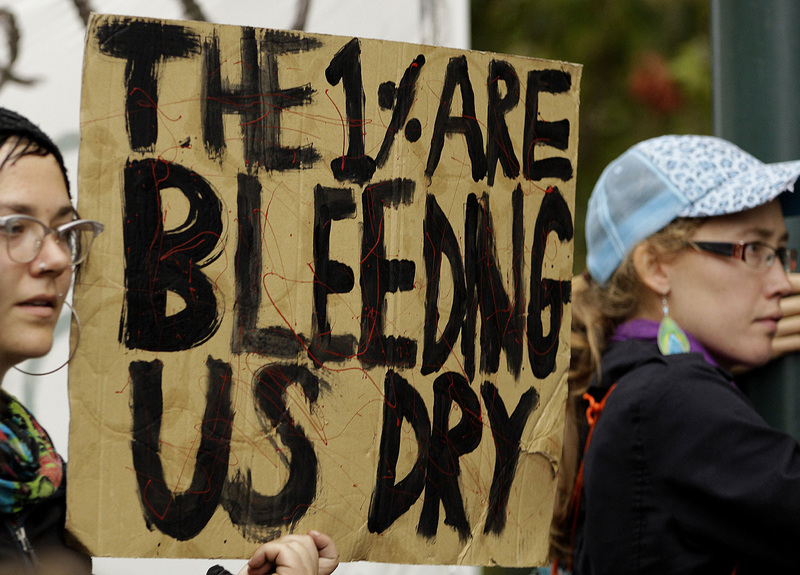 Specifically, it has confirmed that the rich really are getting richer. Between 1979 and 2007, the top 1 percent of Americans with the highest incomes have seen their incomes grow by an average of 275 percent, according to the CBO study (PDF). In comparison, the 60 percent of Americans in the middle of the income scale saw their incomes increase by just 40 percent during the same time period, according to the study, which was based on a combination of IRS and Census data. To put the growing disparity of income distribution in a slightly different perspective: Between 2005 and 2007, the top one-fifth of earners in America earned more money than the bottom fourth-fifths. The report declines to offer exact reasons for the growing income disparity, but acknowledges they are likely to include: Growing "superstar" salaries for actors, athletes and musicians; Changes in executive compensation; and the growth of firms in general. Reports from the non-partisan CBO tend to get trumpeted by politicians who are supported by their conclusions, and dismissed by those who aren't, in a trend that crosses party lines. The most relevant part of the report to the ongoing debt battle in Washington will surely be the argument, pointed out by The New York Times, that the government has done less and less to involve itself in redistributing the nation's wealth since 1979. That said, the report was careful not to draw a direct line between the growing income disparity and the lower rate of government wealth distribution. "The equalizing effect of federal taxes was smaller" in 2007 than in 1979, as "the composition of federal revenues shifted away from progressive income taxes to less-progressive payroll taxes," according to an excerpt from the CBO report in the Times.